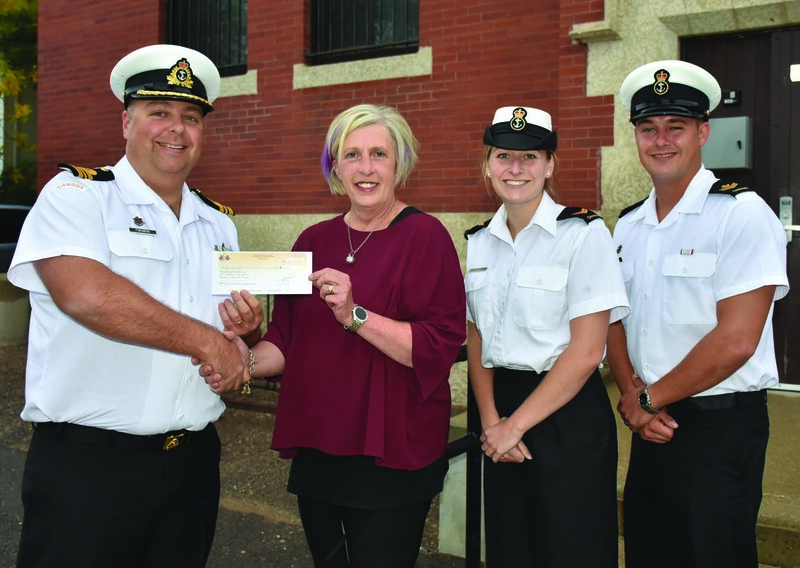 Crew members from the HMCS BRANDON presented their annual donation to the Brandon Food 4 Thought program during a recent visit to her namesake city. Sailors from the BRANDON raised $1100 through on-board fundraising activities and fun events. The program is now in 19 Brandon schools serving thousands of breakfast meals to students.